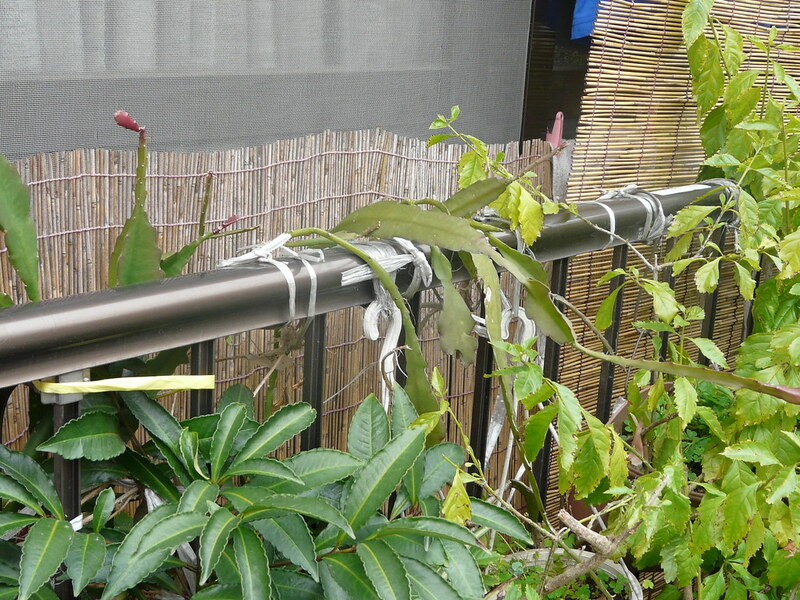 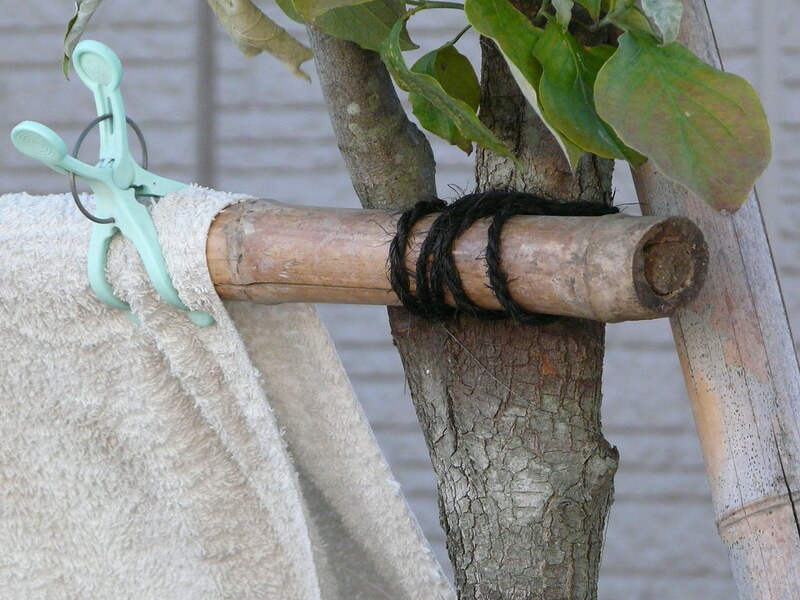 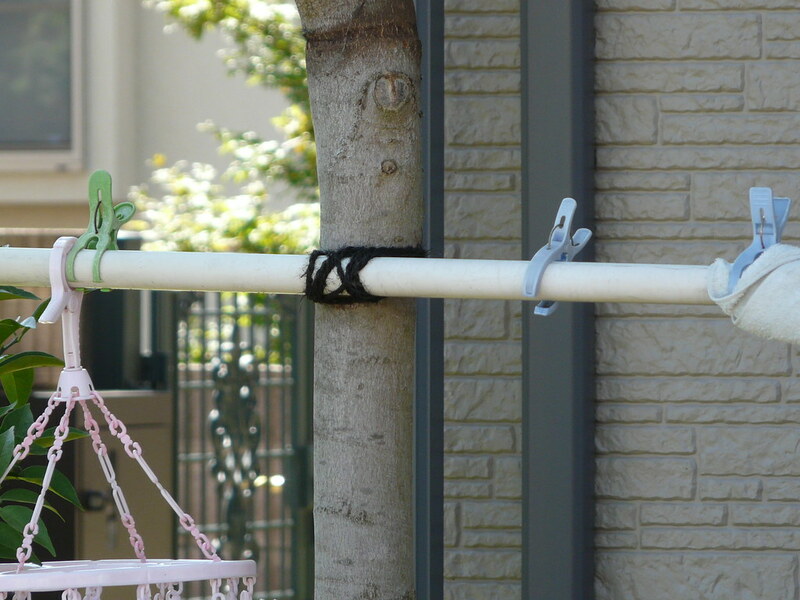 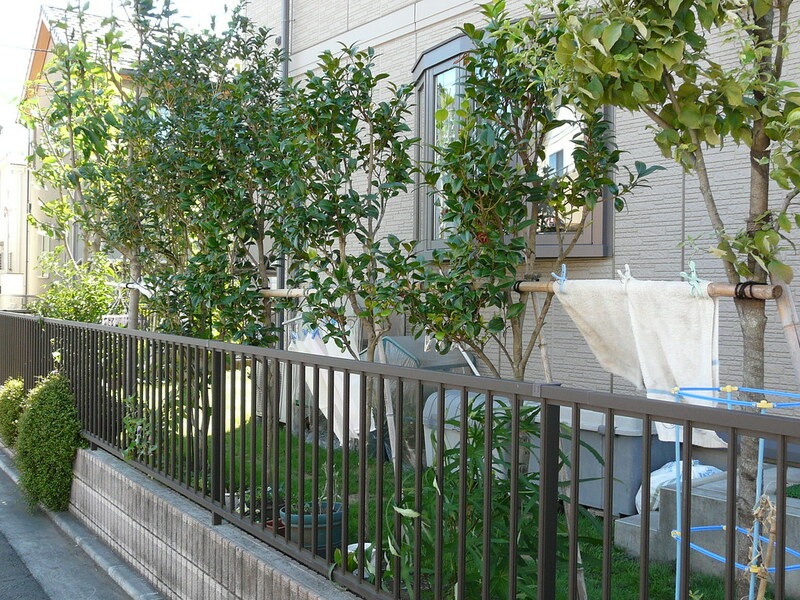 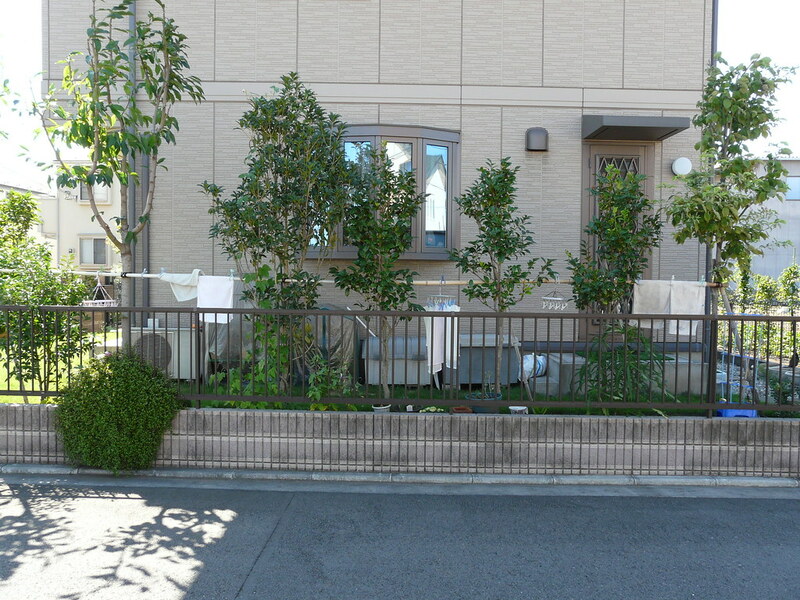 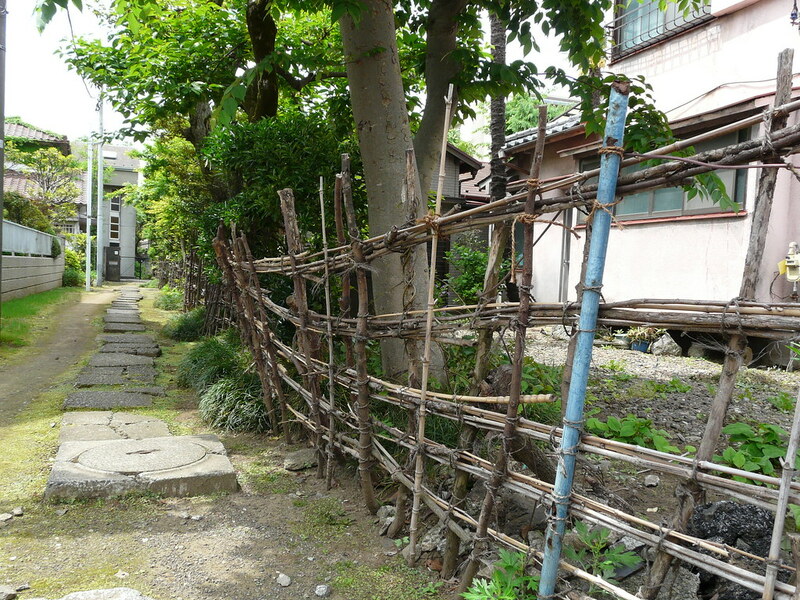 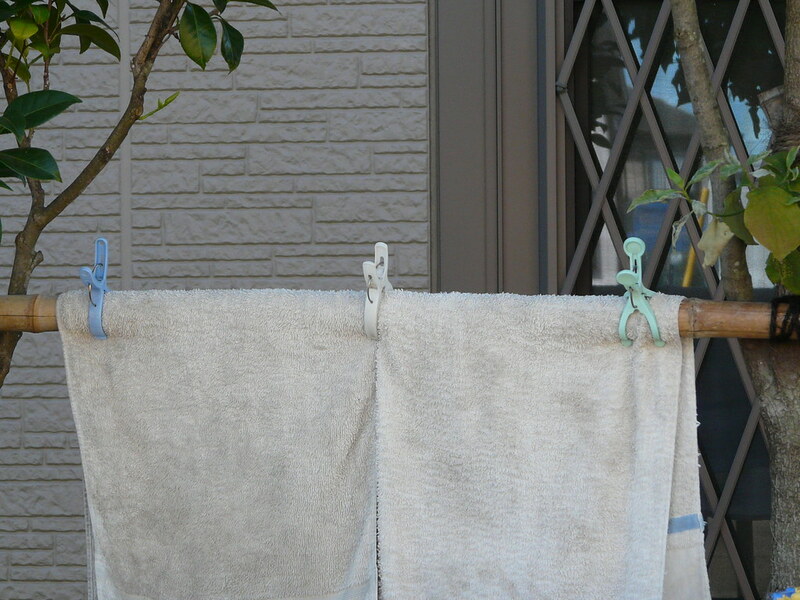 Trees support a bamboo pole based washing line construction in Tokyo’s Tachikawa suburbs. 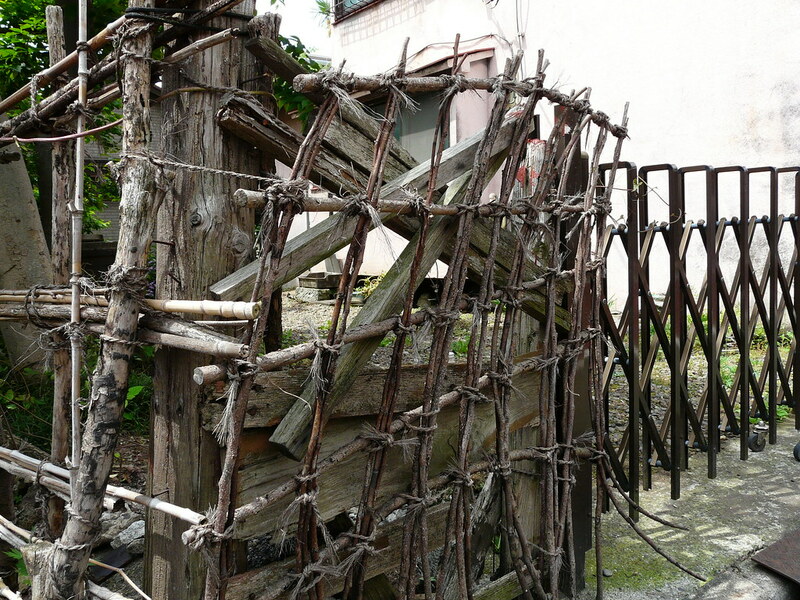 I love the way the structure blends in with the surroundings – its temporary form touching lightly on the landscape. 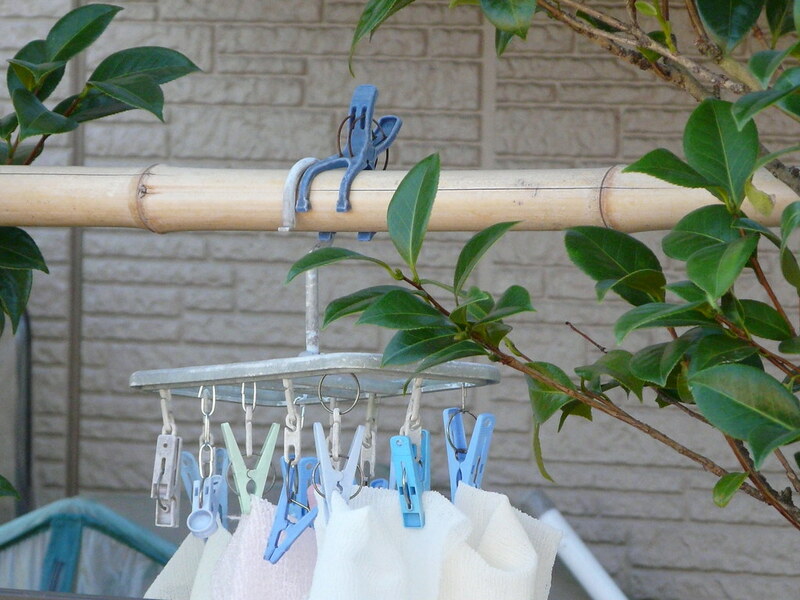 A flexible, elegant and economical solution to a very domestic need. 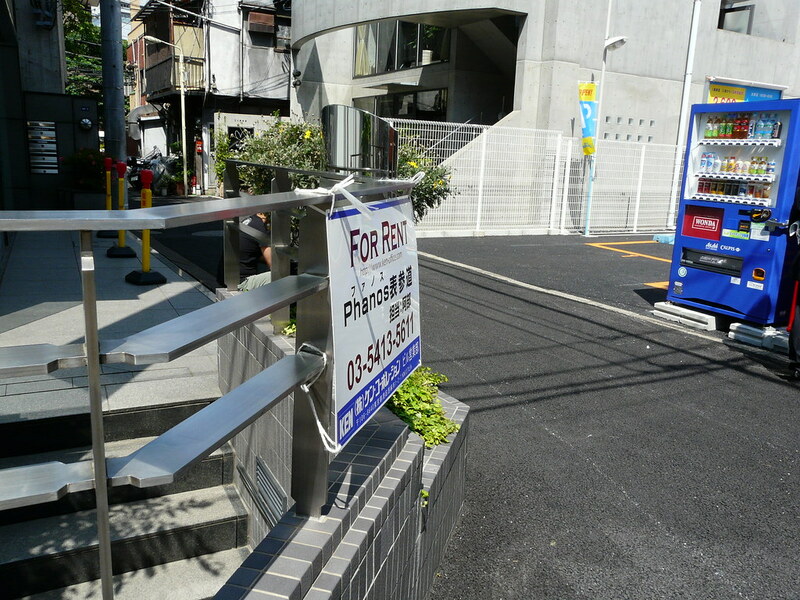 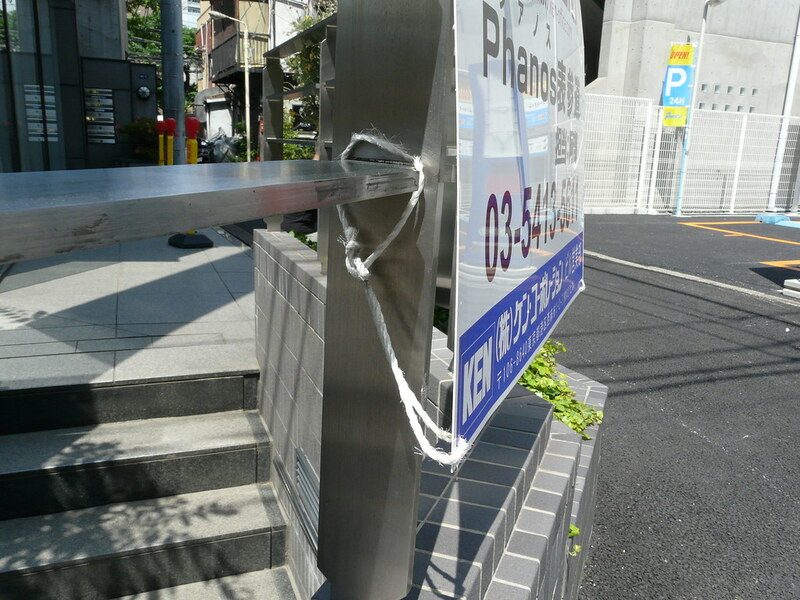 Real estate sign affixed to fence with twine. 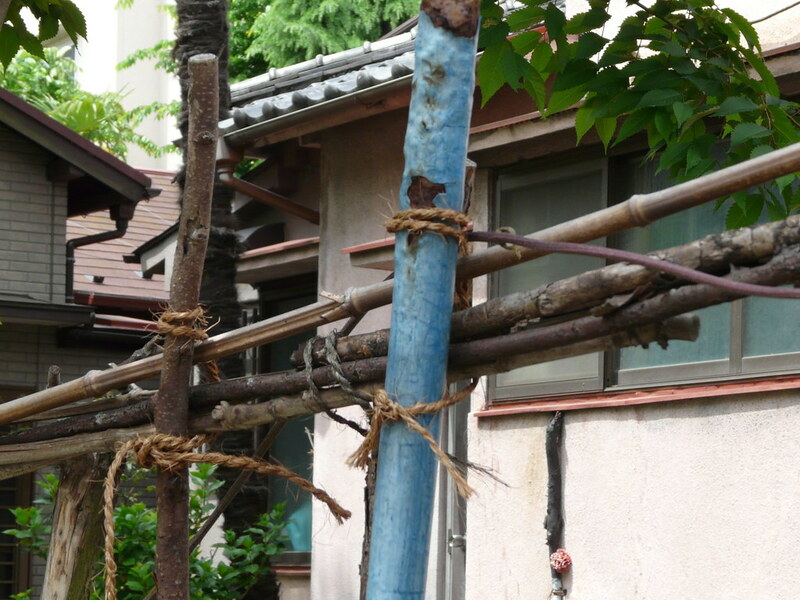 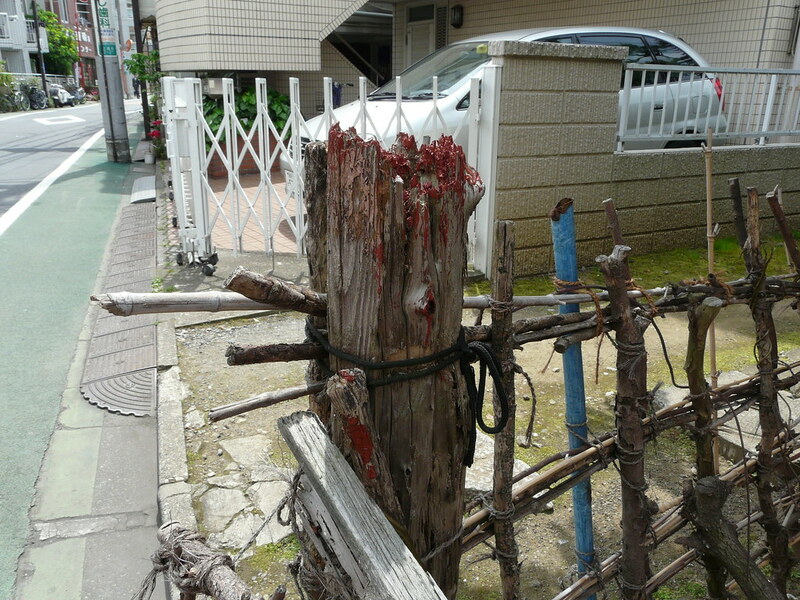 Boundary fence constructed from a collage of sticks, poles, twine and bamboo. 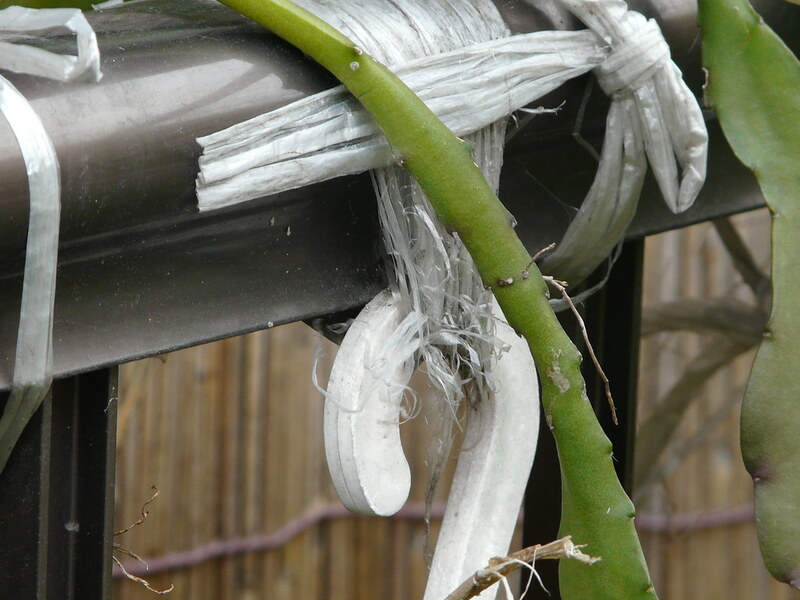 Plastic packing twine and hooks support a garden of pot plants.